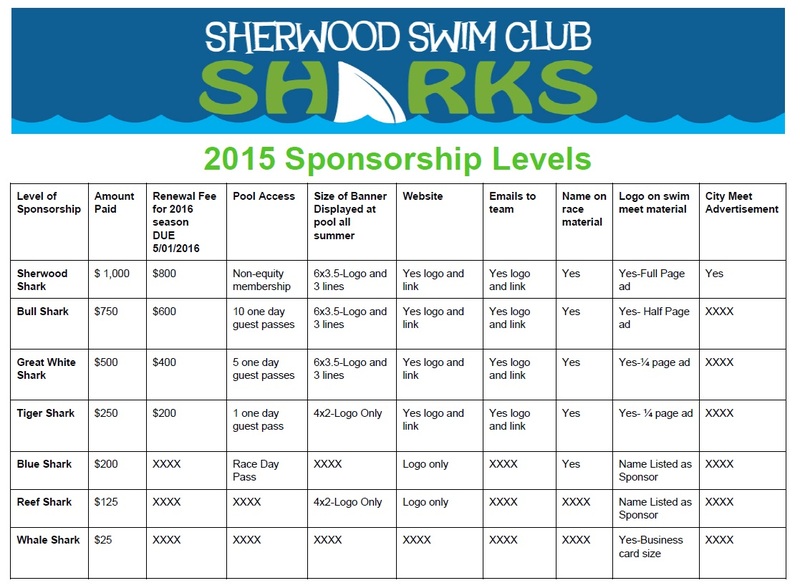 LOCATION: Sherwood Swim Club, Inc.
Sponsors can choose to have company name listed or submit a logo. should be submitted as hi‐res (300 dpi) JPEG or EPS files. Logos for signage should be submitted as hi‐res (300 dpi) JPEG or EPS files. Logos for web site should be submitted as 72 dpi JPEG or PNG files. PLEASE MAIL BY May 22 and let us know via email that you sent it. We don’t want to miss you!